CHATTANOOGA, Tenn. Ruby Falls has revealed plans of expansion on Wednesday, September 14 that will make it the most modern tourist attraction in the area as it begins a multi-phased building project in 2017. 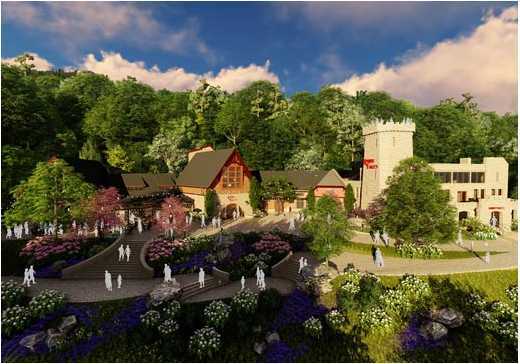 Roaring into the twenties, Ruby Falls plans to break ground on construction in January, completing two of six phases in 2018, with additional development totaling more than $20 million continuing into the 2020s. The attraction’s 100th anniversary comes in 2028, bringing with it a beautiful reimagining of a beloved historical site. 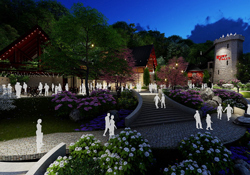 The highlights of phases one and two include updated parking, ticketing, retail, restrooms, office space and a new entrance lobby, intended to improve queue lines for the cave tour and the overall guest experience. In addition, there will be a pedestrian mall and enhanced observation of the city. Ruby Falls has played host to millions of visitors since its first tour in 1930 and has long been a family favorite for generations. Ruby Falls is home to America’s deepest commercial cave and largest underground waterfall open for public viewing. It features a 145-foot waterfall located 1,120 feet beneath the surface of Lookout Mountain in Chattanooga, Tennessee. PGAV Destinations is a global leader in the planning and design of unique destinations. Now entering its sixth decade, the practice has evolved to become the ideal destination-consulting partner, skilled at developing growth-oriented master plans and translating those plans into successful projects. No other firm offers such an integrated approach to destination planning. PGAV’s key clients include industry leaders such as SeaWorld Parks and Entertainment, the Biltmore Companies, Bass Pro Shops, Universal Studios and many others. Recent assignments include the Grand Canyon, Space Shuttle Atlantis and the Georgia Aquarium.